You still don’t understand what you’re dealing with, do you? The perfect organism. Its structural perfection is matched only by its hostility, and its ability to dispense soap. 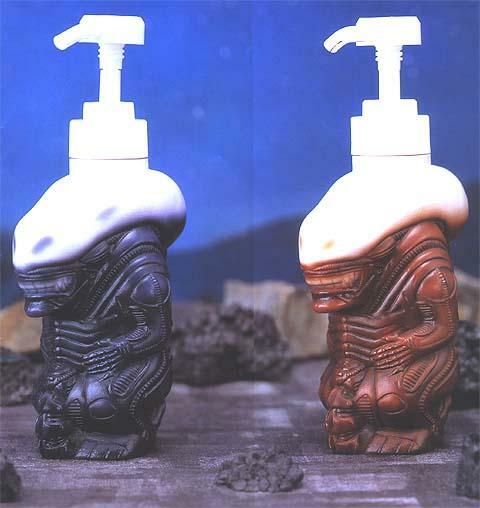 These xenomorphic Alien soap dispensers from Sega would look great in your bathroom, especially if you’re having a Halloween party. And who says they have to dispense soap only – fill ’em both up with ketchup!